We make lots of jokes about our bodily secretions, but they’re all there for a reason. Tears rinse our eyes, sweat helps keep us cool, and pee rids our bodies of waste. The types of fluids produced vary by species, as do their functions. Dolphin snot, for example, may be a necessary part of echolocation. Acoustic researchers are presenting their work on this concept at the annual meeting of the Acoustical Society of America this week in Salt Lake City. Dolphin noise-making is incredibly sophisticated. Over the last half-century, we’ve learned that the clicks, whistles, and whines they produce help them track moving prey and communicate with one another. But just how they’re making these noises remains unknown. "It's harder than you might think to make loud, high frequency sounds," Aaron Thode, a research scientist at the Scripps Institution of Oceanography in San Diego, said in a press statement. Want to try it for yourself? Here’s a sample. See if you can replicate it. We’ll wait. How’d you do? Not very well, we’re guessing. But don’t beat yourself up about it—you don’t have the anatomy for it. 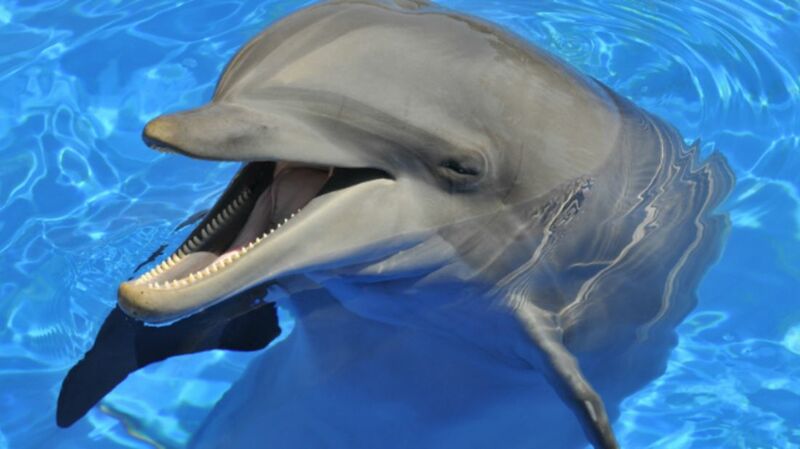 Dolphins' nasal passages are just under their blowholes. Inside those passages are lumps of flesh called bursae. Scientists believe that vibrating the bursae at high speed can make those shrieks and clicks possible. Still, they don’t know for sure. As you might imagine, it’s very hard to get a video of a dolphin vibrating its bursae. So Thode and his father, retired physicist Lester Thode, developed a computer model to recreate the buzzy bursae experience. Dolphin clicks have two parts: a thump, followed by a reverberation, like that of a bell. The Thodes built a model that would reproduce both the thump and the ring, then compared the simulated sounds with real dolphin noises recorded at the Hawaii Institute of Marine Biology and the Navy Marine Mammal Program. The simulator held up, successfully reproducing the timing, frequency, and overall sound of clicks from flesh-and-blood dolphins. Through manipulation of their virtual dolphin sound machines, the researchers found that the bursae produce clicks by pulling apart, then snapping together. But this stretch-and-snap action would be difficult to manage without, as they write in their presentation abstract, “some slight adhesion.” They believe the most likely source of that adhesion is mucus. More research will need to be done to confirm the snot theory. This study was done on computers, with one specific model. “Others could create a different model that also matches the data,” Lester Thode noted. There are no known plans to test the model with real dolphin boogers.